It's Karens birthday today and it deserves a special celebration! 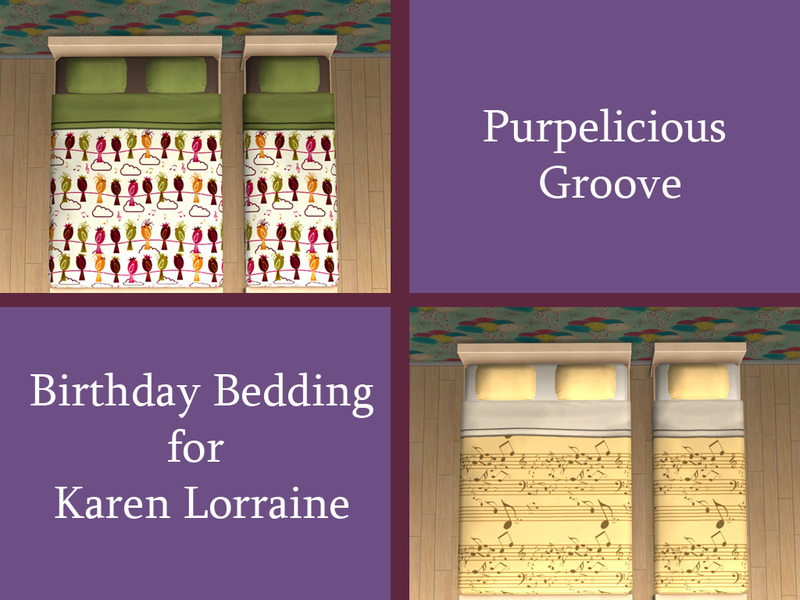 As almost every fish knows, Karen loves purple, music and art deco. Which she mentions in about every other post. 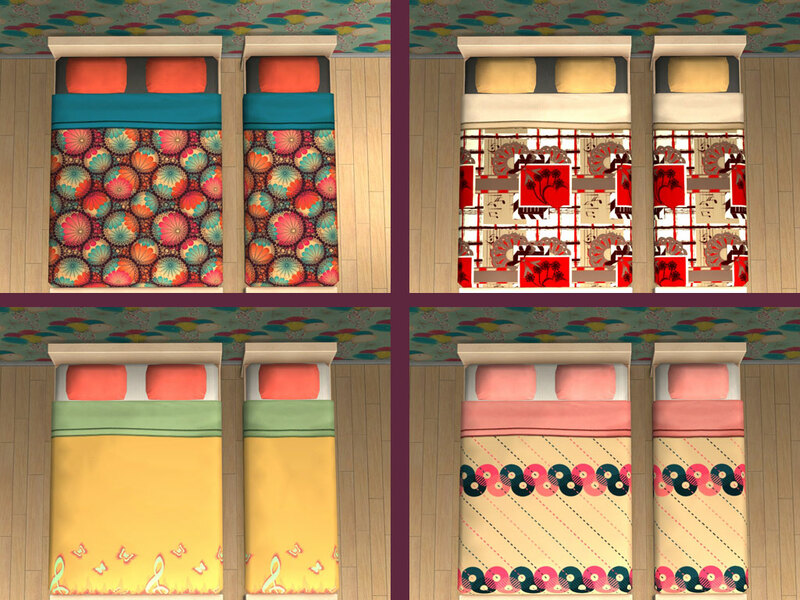 So to celebrate this special occassion, I have made a set of 10 beddings that more or less fit those three elements Now all your sims can have musical, purpelicious and floral dreams! 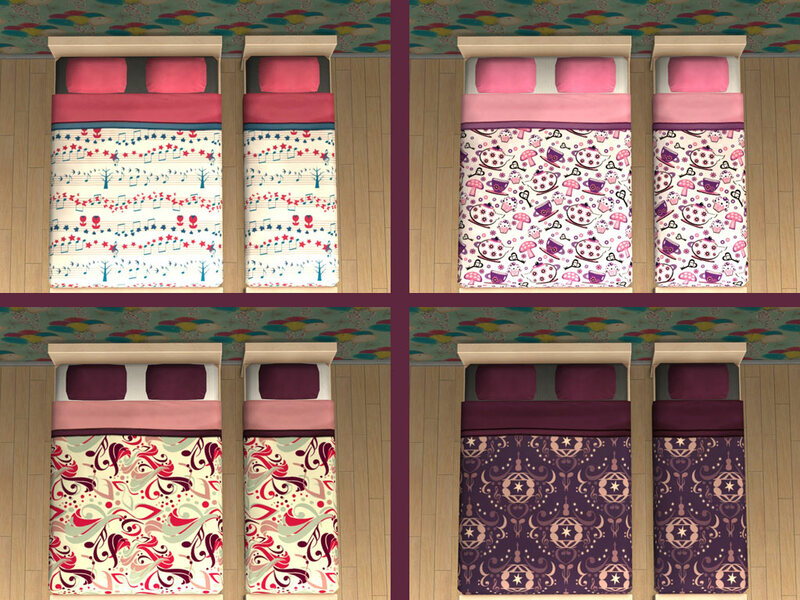 I have abused CuriousB's Bedding Creation Kit which is awesome and such a great tool. Patterns are from Colourlovers. Very nicely done! Those are gorgeous Klaartje! Good job!